MILAN (AP) Racist chanting has resulted in Hellas Verona being given a suspended one-year sentence for a partial stadium closure. 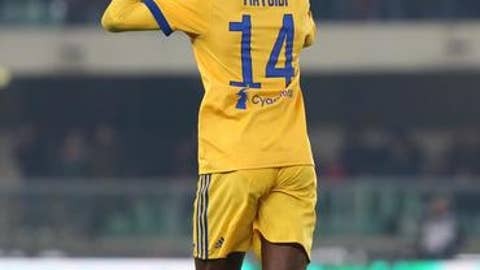 The league judge says that Verona supporters aimed the chants at Juventus midfielder Blaise Matuidi for 10 seconds early in Juve’s 3-1 Serie A win on Saturday – in which Matuidi scored the first goal. The ban was suspended since it was Verona’s first offense this season. The partial stadium closure will come into effect only if there is another offense over the next year. Verona was also fined 20,000 euros ($24,000). Matuidi was born in France to an Angolan father and a Congolese mother. He plays for France’s national team.